This Wheelset is the ultimate in standard width aero rims for those preferring the more traditional tubular tyre. UD carbon front and back with excellent handing capabilities. The 400mm deep rim has a braking surface which is bonded into the surface of the carbon and is heat resistant to 200 degrees Celsius). 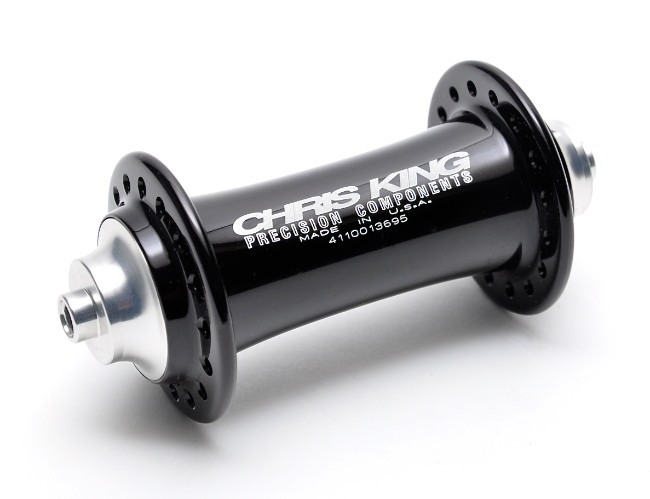 Chris King R45 Ceramic was chosen the as the top of the range hub for the Fleet Wheelsets. 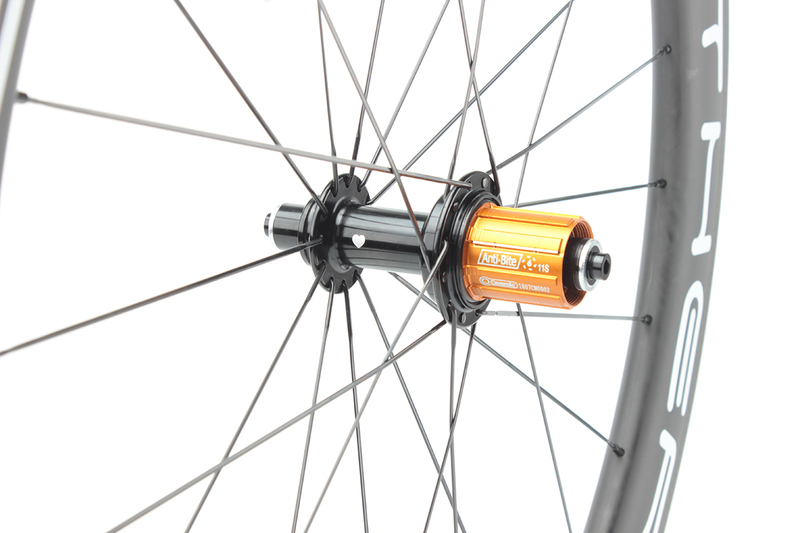 The R45 rear hub combines a redesigned RingDrive™ system with 45 teeth for lower drag and near instant engagement with a lightweight hub body and the legendary made-in-house bearings. Ceramic bearings, roll on heat-treated, surgical grade steel races that are machined simultaneously, with tools of equal wear to ensure perfectly matched inner and outer races. The quality and speed of the bearings is what sets it apart from the competition and they are what you will feel and notice on every single ride. As Chris King bearing tracks burnish they get faster with age and all our hubs and bearings are fully serviceable for years upon years of demanding use. The patented Chris King RingDrive with 45-points of simultaneous-engagement will get your power to the ground fast, provide unmatched engagement, and give you that legendary Chris King angry-bee sound. Inside the sleek hub body is a stiff 17mm alloy axle for superior performance under the lateral stresses encountered in corners and aggressive sprints. The hub is 11-speed Shimano and Campagnolo compatible. Unique to the R45 rear hub is the King patented 45 tooth RingDrive engagement system, creating a quieter, faster engaging freehub body. 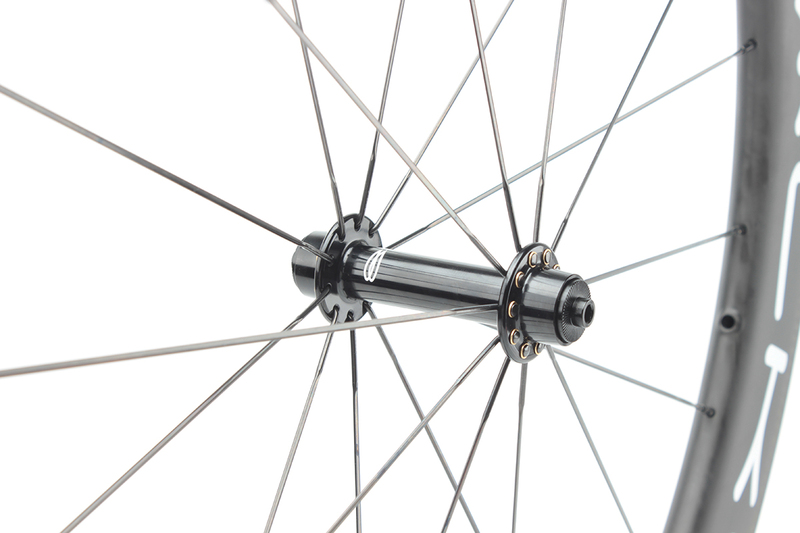 Novatec A291SB/F482SB is a budget hub offering excellent rolling resistance race wheels. The front hub has 2 bearings and the rear 4 and are available in Shimano or Campagnolo free hub versions. The hubs build into stiff wheels due to the high bracing angles. Front hub: PCD: 30mm L/R, left flange to centre 34mm, right flange to centre 34mm spoke dia: 2.6mm. Rear hub: PCD: 41mm L 49mm R, left flange to centre 38mm, right flange to centre 18mm, spoke dia: 2.6mm. 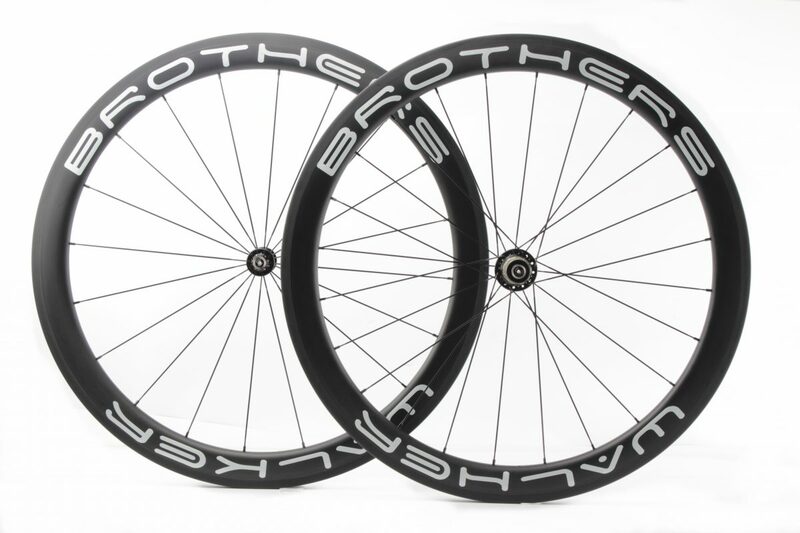 Customise your wheels by choosing from 3 hub options and Walker Brothers logo or icon in either Silver White or Stealth Black .